This article ran three weeks ago in the MicroCap Review magazine by StockNewsNow, a US-based microcap media house. It was written by Brandon Mackie, a prolific investor, writer, and entrepreneur. He is currently Head of Research for Smallcap Discoveries, a paid newsletter focused on discovering Canada’s best emerging growth companies. You can see the original article here on Page 56. Pop Quiz! Which country has produced – on a percentage basis – more microcap 5-baggers over the past five years? The US OTC had 113 companies whose shares rose 5x over the past five years, or 1.1% of the 10,584 listed companies. Meanwhile on Canada’s Toronto Venture Exchange (TSXV), 54 of the 1,980 listed companies, or 2.7%, reached five-bagger status during the same time period. That means if the future is anything like the past, you are more than twice as likely to find a 5-bagger in Canada vs the US OTC. That statistic is no coincidence. Once only a mining mecca, the Toronto Venture Exchange has transformed itself into the world’s most efficient public venture capital marketplace. So if thinking about Canadian investing conjures up an image of a slick back haired man holding an ore deposit, we suggest you take a closer look. Here you’ll find a vibrant technology and healthcare sector that has outperformed nearly every global market this year. Hamilton Thorne is a healthcare company we have owned since 2014. Once completely undiscovered, it has become a microcap blue chip today. Shares have gained 820% in just over 3 years. 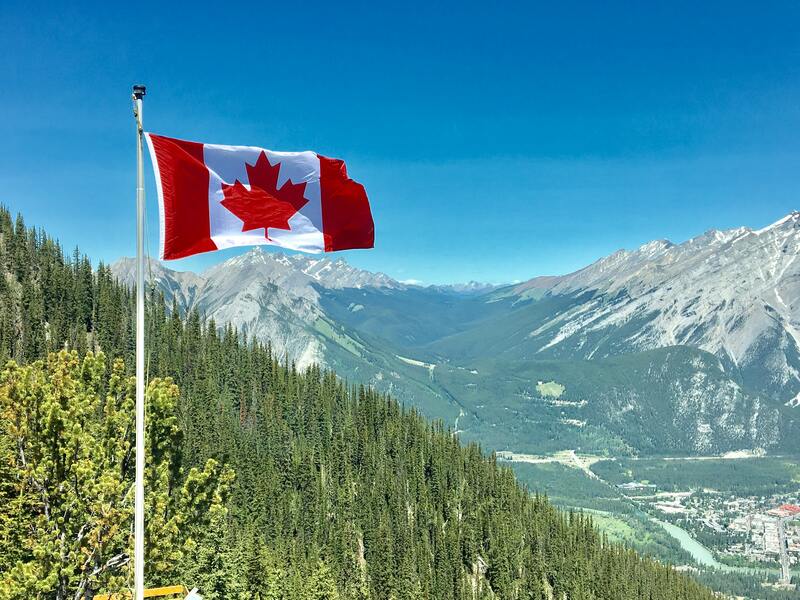 David’s story – along with many other Canadian microcaps we have found – have led us to believe: if you are a US microcap investor and not thinking about Canada, you are crazy. Today, we’ll share our Top 4 reasons why. Good treasure hunters know there is no point searching where others have looked. The riches are gone. You’ve got to look in undiscovered places. The US is the world’s premier stock market. If it wasn’t competitive enough, investors all over the globe also want to invest there. But in Canada, you’ll find far fewer eyeballs on microcaps. And even within Canada, the whole brokerage industry is built around one thing: the resource sector. These are after all the companies that need to raise tens of hundreds of millions to bring a project to life. That’s a lot of fees for the brokers and bankers! What incentive do firms have to research small, profitable companies outside of this sector? Let their neglect be your opportunity. One of our biggest winners was XPEL (DAP-U:TSX-V). When we invested in 2013 at $0.17, it was growing 100% year-over-year while trading at 4 times earnings. Shares trade over $5.00 today. It was a gem hiding in plain sight. Intel (INTC) went public in 1971 at a $8.2 million valuation. Imagine investing in Intel as a microcap. A $10,000 investment in Intel’s IPO would be worth $302 million today. It’s the American dream. Well, at least it was. Now companies are staying private longer – opting for a waterfall of VC money over the headaches of going public. Take SnapChat. At a valuation over $30 billion, most of the upside – you could argue – is already gone. Uber has raised capital at a $70 billion valuation, yet is still private. What is great for the VCs, is bad for you as a public markets investor. Since 2000, the average number of US smallcap IPOs (<$100M) has fallen a staggering 74% since the 1990’s. Canada has fared better. The VC and private equity industry is less mature compared to the US. Going public is still the route of choice for many innovative, high-growth companies. Catamaran Corp (CRTX), Lions Gate Entertainment (LGF), and IMAX (IMAX) all got their start as Canadian-listed microcaps. We invested years ago in a company called Bowflex, which made home exercise equipment. It traded at CAD $0.10 (yes, ten cents) and after many years of growth, moved onto the NYSE renamed as Nautilus (NLS). Accounting for splits, shares trade at USD $230 today. Despite what the media would have you believe, Canada’s regulatory framework offers microcap investors as much or more protection than the US. On the TSX Venture, you cannot do a financing under $0.05 (except under extraordinary circumstances). This means you can’t structure a deal where 100M shares are issued at a fraction of a penny to insiders – only to list at $0.10 or $0.20 a few months later. You also can’t do financings lower than 25% of the last trade. This protects investors from the dreaded “death-spiral” financing where shares are issued continuously at ever lower prices. Lastly, the Venture requires full disclosure of ownership and share structure. There is no hiding the faces behind each deal. In our opinion, The TSX Venture is the most efficient public venture exchange in the world. This is because the entire infrastructure – from the lawyers to the accountants to investment bankers – is built around bringing small – and we mean really small – companies public on the exchange. From the fees that service providers charge to less onerous filing requirements, small companies have it easier when it comes to listing in Canada relative to the United States. US investors expect companies to be worth billions before listing, and the whole financial infrastructure has evolved to make that expectation a reality. Because of Canada’s thriving ecosystem of speculative industries – think mining, crypto, and cannabis – there will always be reasons to be cautious of investing in Canadian-listed securities. But investors who can look through the noise can find innovative companies like Shopify (SHOP:TSX), which has returned 897% since its IPO in 2015 or Covalon Technologies (COV:TSX-V) which has returned over 4100% since 2013. We believe Canadian investing gives Americans the best of both worlds – you get the valuation arbitrage of international investing without the headaches – time zones, language barriers, and immature regulations to name a few. Over just the past 5 years, we’ve had the good fortune to invest in 7 companies that increased over 10 times from our purchase price. We believe Canada’s non-resource sector is one of the market’s best kept secrets. And it’s only a matter of time before international investors figure it out. Note: This article is not an attempt to provide investment advice. The content is purely the author’s personal opinions and should not be considered advice of any kind. Investors are advised to conduct their own research or seek the advice of a registered investment professional. Espace MicroCaps is not responsible for the accuracy of the information presented.